Its been a very busy couple of weeks here at needlesandhooks. I’ve been working at the Clothes Show with Clothkits doing knitting workshops. The workshops were great fun, I taught people to knit, make pom poms and lots of them made beautiful items to take away. I’ve also been back at Birmingham Royal Ballet dressing for their new production of Cinderella. I really wish I had a chance to see the production but I’ll have to settle for seeing the costumes on the rails, lacing up bodices and doing up hook and eyes. Well the working fun doesn’t stop quite yet for me. 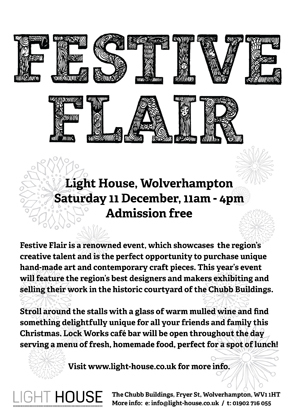 I’ll be at my last Christmas fair selling my wares at Festive Flair, LIght House, Wolverhampton on Saturday 11 December, 11-4pm.